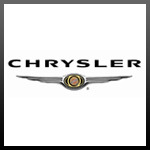 Chrysler Motor Corp is an international automaker based in U.S. with its corporate office in Charlotte NC. The company organized itself by the name of Chrysler Corporation back in 1925. Walter Chrysler was the founder of this company and from 1928 onwards, the company started to categorize its vehicles by function, class, and even price. The main product line of the company includes Chrysler that comprise of minivan, SUVs, and Passenger cars. Dodge and RAM are other vehicle categories, which include crossover, trucks, and other commercial vehicles. The category of Jeep includes crossovers and off-road vehicles, and Mopar include premium versions of trucks and other category of vehicles. There are currently 0 consumer reviews about Chrysler Motor Corp. available. Share your review. Please take a note that you are about to post a public review about Chrysler Motor Corp. corporate office on CorporateOffice.com. This review will be public, so please do not post any of your personal information on this website. If you would like to contact the corporate offices of Chrysler Motor Corp., please use their contact information such as their phone number, website, and address listed above to contact them. However, sometimes staff from Chrysler Motor Corp. headquarters do read the reviews on this website.